Josh Walfish reports UMass will be playing real football including tackling during today's Spring game. He also reports it'll be a big day for 2020 recruiting with a number of potential recruits in for the game. Josh also relates the Minutemen have commits from five recruits for 2020, which is one more than has been made public. The way Josh phrases the potential use of the three or four remaining scholarships in 2019 indicates Bell is open to more transfers or JUCO players. Usually players look to transfer after their respective school's Spring game when they learn their position on the depth chart. I'd like to see all the additions land in defense, but offensive line is a position of need in 2019. See yesterday's blog post on my take. Underdog Dynasty profiles Andy Isabella. The Orlando Sentinel annually previews all 130 FBS teams and has UConn as #128. The Chronicle has updates from the Big Ten. UMass plays two big Ten opponents in 2019. A couple of quotes from Josh Walfish's Twitter feed. "Also wants to re-iterate that #UMass will play real football Saturday, just need to structure it in a way that keeps the Minutemen healthy for the summer. Numbers are thin along lines right now." " Just spoke with Walt Bell. He's not going to add a quarterback from the transfer portal. Sticking with the two new QBs he's bringing and using final 3 or 4 scholarships to address bigger needs on the roster." For the first time in years I will be unable to go to the Spring game. I would encourage all local UMass fans to make the effort to to out and see the team. I really enjoyed the practice I went to and I think most fans will get a kick out of interacting with the players and coaches. It'll be interesting to see the new spread offense too. 1. A defensive end. UMass did not have a pass rush in 2018 and coincidentally did not have a rush defensive end. They did recruit Xavier Gonsalves who will help. One of Bell's first recruits was DE Jaylin Bannerman, but one or both sides backed off on his coming to Amherst. UMass was next to last (#128) in the entire FBS division in sacks in 2018. For the Minutemen defense to improve we need a pass rush and some edge contain. Fixing the UMass defense will require more than one recruiting cycle, but a JUCO DE would probably make a measurable difference in 2019. 2. A running back. When Bell was hired, the Minutemen had no recruited running backs---as in zero. Bell was able to get Bilal Ally to return to the team and that would rank as one of his very best "recruits" this year. UMass also recruited three-star recruit Kevin Brown. Arkansas State where Coach Bell had his most success, has five three-star running backs. We flat need more bodies in the offensive backfield. 3. A middle linebacker. UMass has not recruited a MLB in two years. Penn State transfer Jarvis Miller will likely start somewhere . In the practice I attended, UMass only had about five or six linebackers on the field. The Minutemen need more size, speed and athleticism at this position. 4. A offensive lineman. 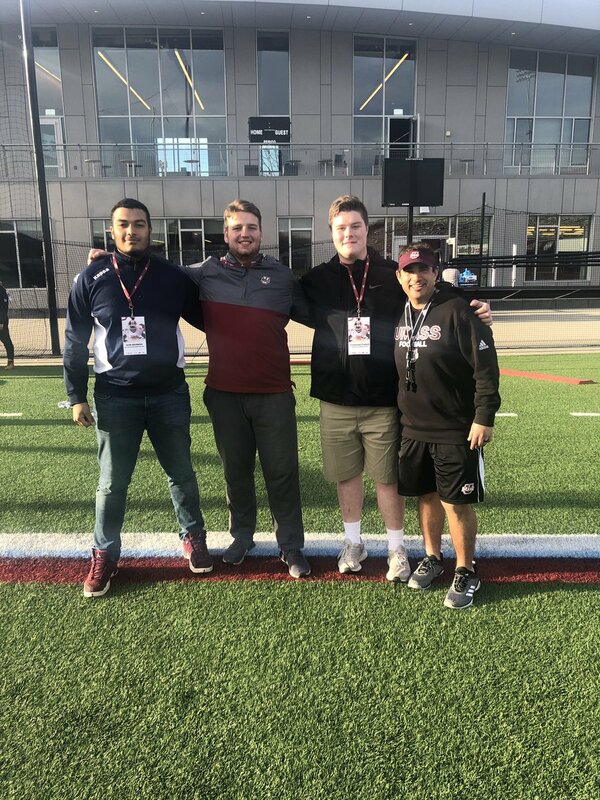 Coach Bell has three OL recruits in the 2020 recruit class. Besides gray-shirt Helber Fagundes, who is already playing Spring Ball, UMass add freshmen Xavier Graham and Max Longman. Things will be better in 2020, but a JUCO or transfer offensive lineman would really help this year. Meanwhile, Rutgers is working on their passing game. Pro Football Focus thinks Andy Isabella could be a first round draft pick. Andy is on Fan Sided's fifty player draft board for the Cleveland Browns. UMass football announces changes in the Spring game for Saturday. Unfortunately, for the first time in years, I will not be able to attend. The revised event should be fun with a chance to interact with the players and the coaching staff. Maybe some blog reader will send us a report. At the practice I attended, it was noticeable there were not a lot of players on the offensive and defensive lines. IMHO, there will be a higher than normal number of 2019 recruits who won't redshirt. Mike Traini of "Fight Massachusetts" also has a post on Saturday's event. Josh Wallfish reports freshman Kevin Brown is getting early experience with Bell's offense. 247Sports has a post on college football recruiting in Europe. Mentions former UMass player Brandon Collier. Besides football, UMass and Rutgers will also hook up in basketball this year. White Wolf Sports profiles Andy Isabella. Long time blog readers will remember I've been a amateur astronomer most of my life. 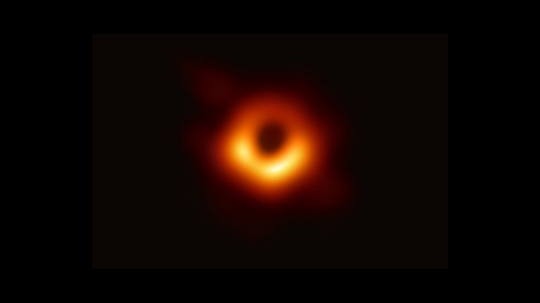 The recent first ever imaging of a black hole was a major event in astronomy. The UMass Large Millimeter Telescope was part of the consortium that accomplished this feat. 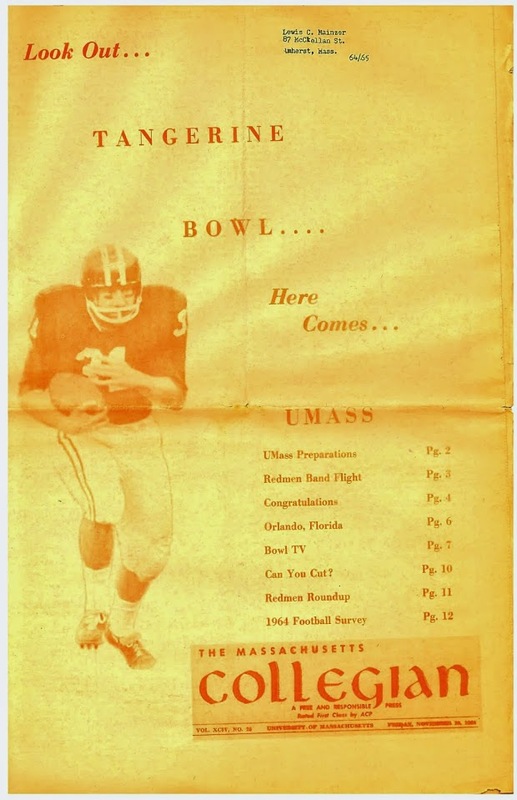 The UMass Media Relations office released a story about UMass' participation. I've blogged about the University's Large Millimeter Telescope before. YouTube video on how to understand the image of a black hole. Matty Vautour ranks the top ten UMass athletics moments in the last thirty years. BTW, congrats to the Minutemen hockey team in their run to the National Championship game. Like the 1998 football team, nobody was expecting anything like this. I hope UMass hockey and the Minutemen hockey fans can keep it rolling next year and be competitive in the top end of Hockey East. Rutgers President Richard Barchi says 1-11 won't cut it for the Scarlet Knights. Rutgers will try to improve that record starting with UMass on August 30th. Three UMass 2020 OL recruits were in Amherst yesterday. I've blogged about Dominik Behrens, Andrew Nee and Ethan Mottinger before. The UMass roster currently only has nine scholarship offensive linemen and two of them Ray Thomas-Ishman and Mike Yeradi are seniors. At the practice I attended, the combo above was getting most of the work. RT Michael Sullivan, RG Mike Yeradi, C Jaylen Larry, LG Helber Fagundes and LT Larnel Colemen. The Browns local Pro Day was highlighted by Andy Isabella. An audio interview of Andy who said it was always his dream to play in the NFL. When I attended practice the best catch I saw was from Zak Simon. He had a nice toe-tap inside the back of the endzone for a nifty catch. The wide receiver position is important in the spread offense. Going into Spring ball UMass has some good players, but like every position this Spring there is not a lot of depth. 247Sports has a draft profile of Andy Isabella. Ohio.com reports Andy Isabella was one of the headliners in the Browns' local pro day. UMass QB's from the the practice I attended. Click on the image and Blogger displays a larger view. I didn't get a shot of Josiah Johnson for some reason. Seven stars from Rutgers Spring game. Cougar Sports Insider predicts BYU's wins and losses after Spring ball. 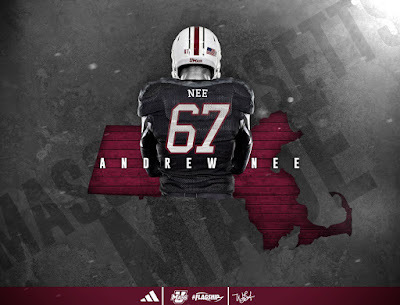 Andrew Nee, a 6-4 288 pound OL from Cambridge, MA has Tweeted he's verbaled to UMass. This article from Northeast Football features Nee. 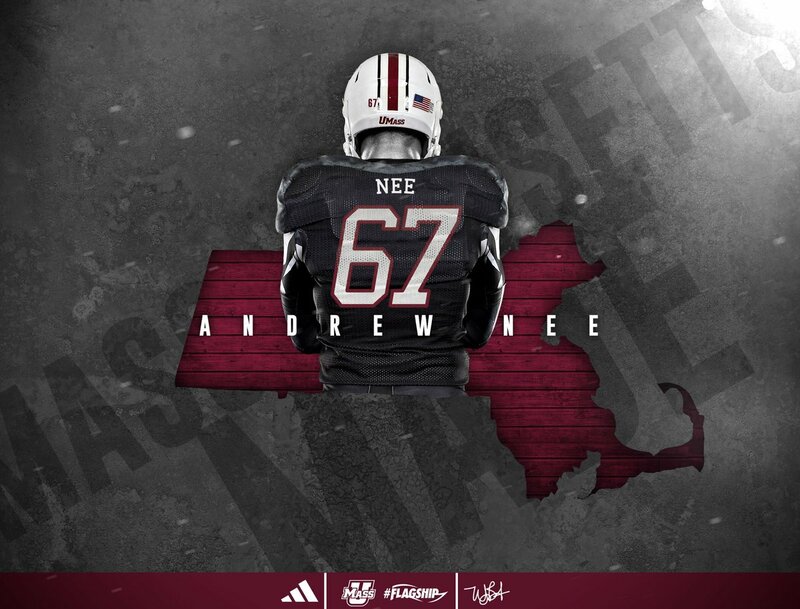 With the addition of Nee, the Minutemen now have four commits in their 2020 class. Three of the four are three-star recruits and Dominik Behrens will ranked after the Fall season too. All four are from the Bay State. Dominik Behrens, a 6-5 310 pound OL from Williston Northampton/Hamburg Germany has Tweeted he's committed to UMass football. The Minutemen continue to make progress with local recruits. 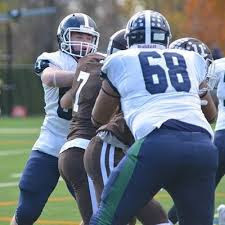 Behrens is a nice addition to the UMass OL. UMass Football Recruiting 2020--Dwayne Allick Jr.